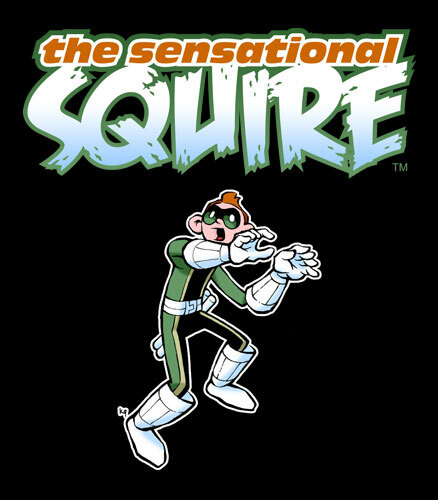 The Sensational Squire is a character in the all-ages Local Heroes online comic. Squire is a non-powered sidekick trying to keep up with his super-powered mentors—something we can all relate to, surely! All content, images, and design © (1997 – 2019) or TM Keith Quinn (unless otherwise noted). Heroes Incorporated is a registered trademark of Keith Quinn. All Rights Reserved. Please get permission before reproducing anything herein. Part of the Hurm network. Powered by Movable Type. Hosted by Dreamhost.